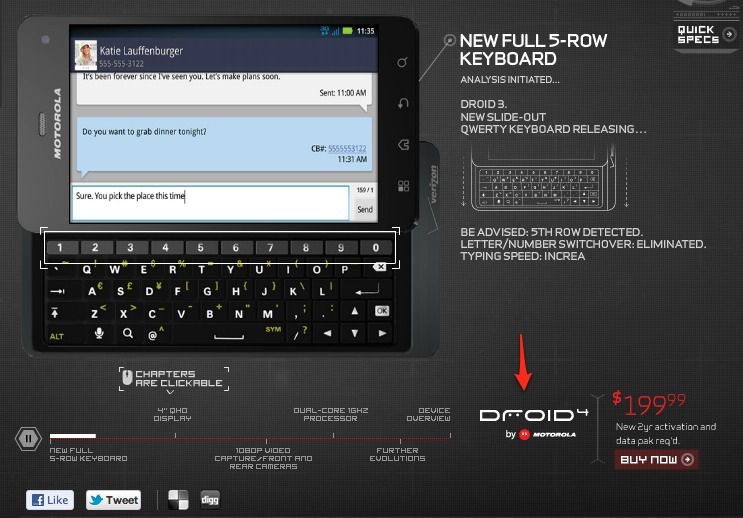 Even without official word on the DROID 4 from Motorola or Verizon, we all know it should be here before the end of the month. Current word has this dual-core slider with 4G LTE coming somewhere around December 22. 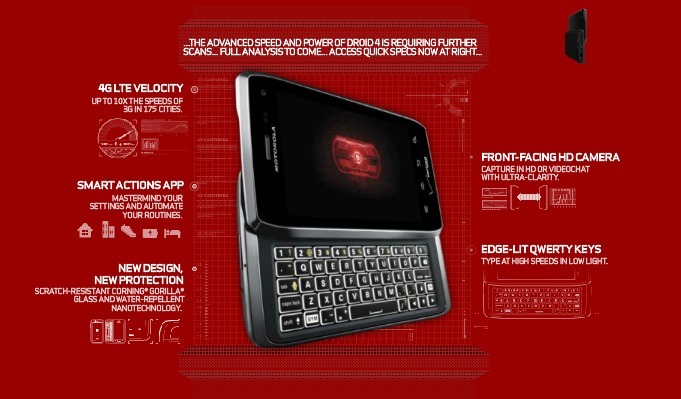 It’s essentially what the DROID 3 should have been, but what can you do about it? Thanks to one of our readers though, we can see that Big Red has begun prep work for the droiddoes.com landing page for the device. If you cruise onto the D3’s page, you’ll find a D4 logo down bottom. Also, after a bit of extra digging, we were able to uncover this image of the device matched up with specs and other features. Everything that we reported a few weeks ago is on here, like the Smart Actions app, edge-lit keys in the keyboard, and a front facing HD camera. And to top that off, we received this MP3 that covers everything you would want to know about the D4. We are assuming it will go on its droiddoes.com page at some point after Verizon announces it. If there is anything else you need to know about this phone, we have it for you here.